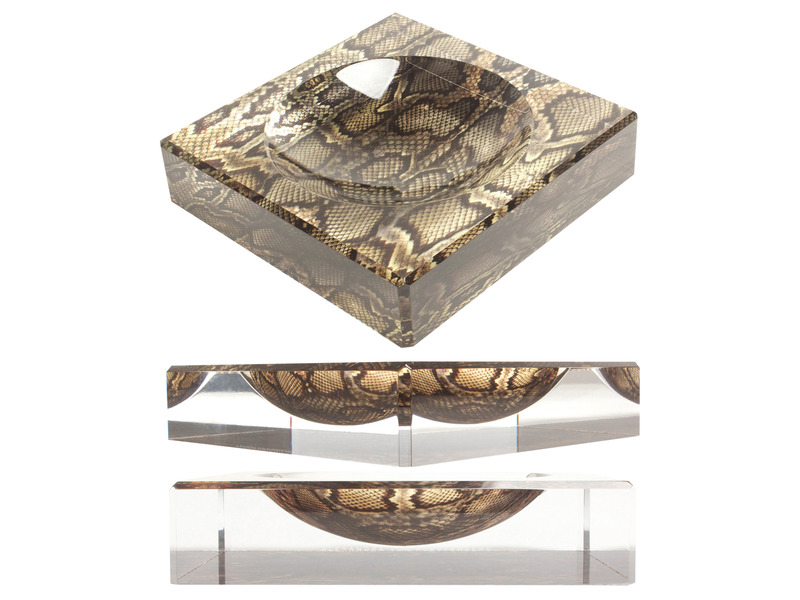 Lend a touch of drama to your home with this snake skin candy bowl crafted from acrylic. H 2.5 in. x W 8.5 in. x L 8.5 in.